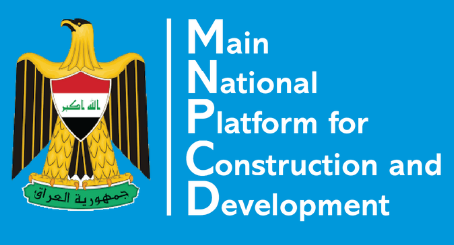 Iraq’s Ministry of Planning and the Council of Ministers Secretariat, together with UN-Habitat, publicly launched the National Platform for Reconstruction and Development. For more than one year, UN-Habitat has been working very closely with the Ministry of Planning to develop and finalize the Platform, with generous funding support from the Iraq UNDAF Trust Fund, which is a multi-donor trust fund. The Platform provides up-to-date key information on reconstruction and development projects. It is a web-based GIS data system that contains analytical reports, statistical data for projects, as well as interactive maps of projects locations. By sharing project information, the Platform will enable relevant actors to avoid duplication and coordinate for better planning. Now accessible to public and with interactive window, the Platform will also allow the Government of Iraq to receive feedback from its citizens on the reconstruction and development projects, helping to build trust between the Government and people. H.E. Dr. Mahdi Al-Allaq, Secretary-General of the Council of Ministers, stated that “the Platform will advance delivery of the commitments made at the Kuwait International Conference for Reconstruction of Iraq”. H.E. Dr. Noori Al-Dulaimi, Minister of Planning, commented that “through the Platform, projects will be managed in a transparent manner and monitored by the international community”. Ms. Marta Ruedas, Deputy Special Representative of the United Nations Secretary-General/Resident Coordinator/Humanitarian Coordinator, stated that the Platform provides an overview of the projects implemented, and enables evidence-based planning and decision making.